Step-1: Get a QR Scanner app if you do not already have one. Step 2: Scan the Whova QR code (below) by using QR Scanner app. 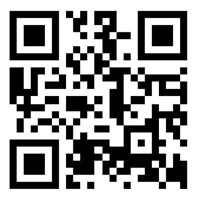 Step 3: Download the Whova page (This step could follow different procedures in different QR Scanner apps. For example, if you are using “QR Reader for iPhone” by TapMedia Ltd. (the first QR Scanner app listed in the Apple App Store), you will see the Whova page with QR code and “Download on the App Store” button below it. Tap on the “Download on the App Store” button. You will be directed to the Whova app from Whova Inc. Step 1: Open either Apple app store or Android app store in your phone or tablet. Step 2: Search for “Whova” in the app store. Step 3: Find the blue Whova app from Whova Inc. Step 4: Download the Whova app. Step 5: Open the Whova app. You will be asked to sign up. You can sign up by email or social media account. Step 6: After signing up, enter “PICMET’16” in the search box to locate the PICMET’16 conference. Step 7: Open the PICMET’16 conference app, enter the invitation code: picmet16. After signing in the Whova PICMET'16 App, your personal profile is automatically created. The profile can be edited in "My Profile" from "More" tab at the bottom right of the home dashboard. If you do not want your profile to be visible to other users in the App, you can hide your profile in "Settings" from "More" tab by turning off "Other attendees can see me". This way, your name will not appear in the "Attendees" dashboard on the home page. If you choose not to hide your profile, you may get text messages inside the App from other attendees. All of the session schedules can be found in the Agenda. You can search the session schedules by authors or speakers’ last name. You can also mark your interested sessions into your own agenda and set up a reminder. The comment section in each session allows attendees to leave feedback to us. It will be visible briefly to the user who posts the comment, then will disappear immediately. After that, only PICMET will have full record of comments.